BioNews Texas has reported in the past on University of Texas in Arlington‘s ongoing efforts geared toward making higher education more accessible, ethnically diverse, and immersive. This year, UT Arlington joins the few institutions in the country to participate in a program that gives promising high school students a better chance at excelling in college by offering them introductory-level courses online, for free. The edX initiative is an international movement that aims to make Massive Open Online Courses (MOOCs) accessible to millions of eager students all over the globe by partnering with other academic institutions. 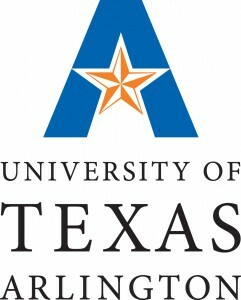 Today, over 15 members of the UT Arlington faculty are busy creating a 12-week course entitled, “Introduction to Engineering and Engineering Mathematics,” to be conducted under the joint efforts of the College of Engineering and the university’s Center for Distance Education’s LINK (Learning Innovation and Networked Knowledge) Research Lab. It is scheduled to begin next Spring. Aside from providing UT Arlington a platform for these free online courses, edX will also be donating $25,000 to the university to fund the project. These combined efforts should elevate UT Arlington’s stand in producing more globally competent engineering graduates to meet rapidly growing needs in the workforce. UT Arlington believes that by making introductory classes to STEM courses accessible to aspiring students, more would be inspired to take these courses and complete them. Pranesh B. Aswath, the associate dean of the College of Engineering and one of the leaders in the development of the edX course, stands by this mission of preparing students early on to persevere towards their degrees. While UT Arlington’s future edX course is open to anyone, it is highly recommended for high school or college students considering a major in engineering. For those interested, click here to enroll. The university also offers an immersive freshman learning program for those enrolled in a science major. The ASSURE Student Research Program is an exclusive opportunity for freshmen to learn more about STEM careers hands-on, as they will be able to conduct their own research for a whole semester.